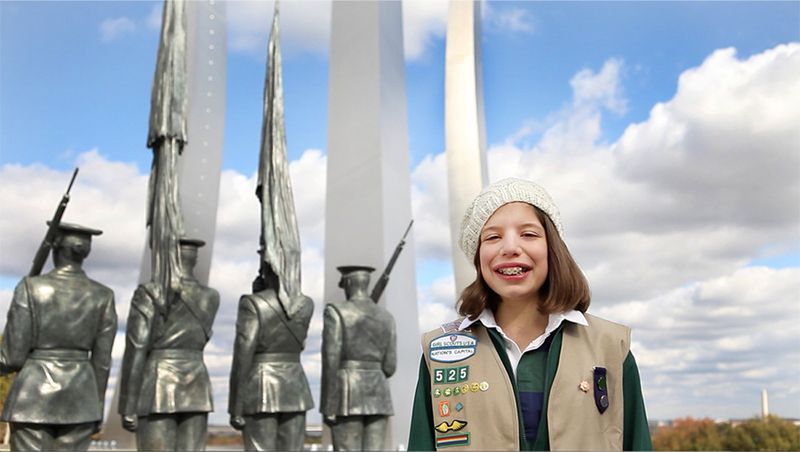 We recently sat down to chat with Emily Penn, Girl Scouts of Central Maryland Membership and Community Development Specialist & Military Connected Girl Liaison, to learn more about GSCM Military Connected Girl program, which helps girls in military families adjust to their new homes when their families move. If you’re interested in volunteering or helping with the Military Connected Girl Program, contact Emily at epenn@gscm.org. Q: What is the Military Connected Girl program? A: Girls in military families often face the hardship of having to move often as their parent is restationed. The Military Connected Girl program helps girls make new friends and connect with fellow Girl Scouts in their new home. It’s a way for them to quickly acclimate to a new community. Q: Why are we launching this new program? A: Girl Scouts of Central Maryland is trying to make a more focused effort on making sure these girls are able to join a troop right away and support military service families and ease the transition for girls into their new communities. There are more than 42,000 military-connected children in the state of Maryland. With our proximity to several military installations and the large number of military-connected children in our state, it’s important for our Council to serve and raise awareness about military connected families in our community. A: Troops in the Council are asked if they are willing to accept military-connected girls who are new to the area at any time in the year. Military-connected girls who want to continue in the Girl Scout program after moving are placed in these troops. We also make sure the communities around the bases have troops on base or close by. Military-connected families don’t just live on bases, they’re in every county in the state, so we make sure the same services are provided across the council. Q: How can people support the Military-Connected Girl program? A: We are in need of adult-volunteers who are willing to be troop leaders for military-connected girls or work with already existing troops. Your volunteer commitment can be customized to fit your schedule and interests. Already-existing troops can contact Council and let us know if they are willing to accept military-connected girls throughout the year.